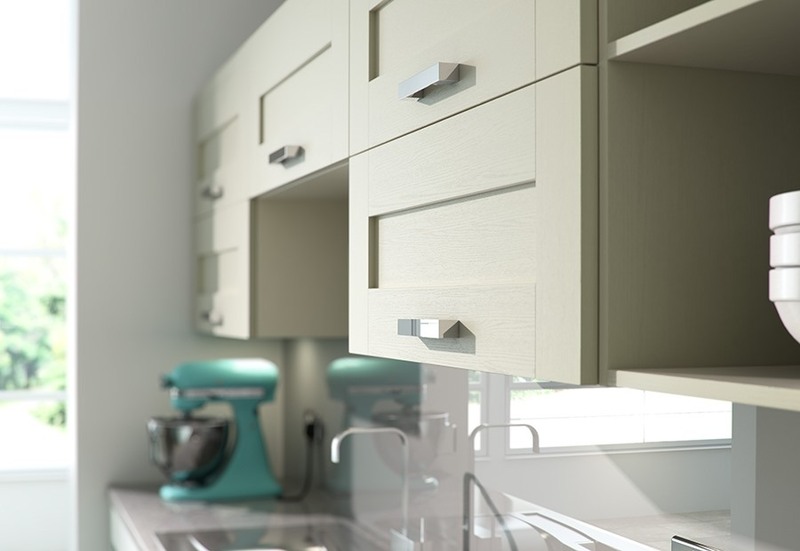 The constructing of the Windsor shaker kitchen means you can easiliy achieve a sophisticated looking kitchen whilst maintainging a realistic budget. The Windsor shaker offers contemporary styling which looks fantastic when combined with a chunky style chrome handle has shown below. 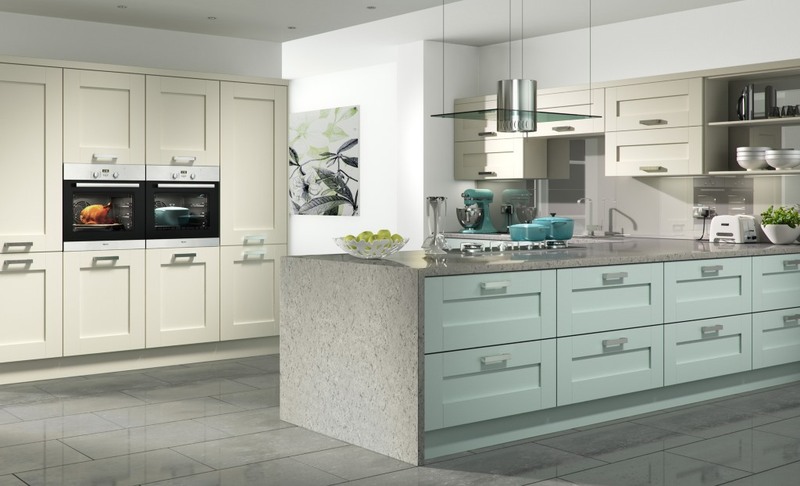 The Windsor shaker ivory kitchen shown here has been combined with light blue painted doors, and the painted option offers many ither colour combinations. The Windsor is also available in mussel.